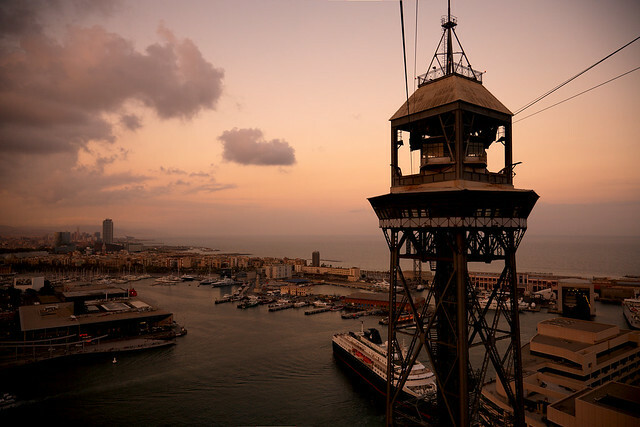 barcelona sky | Flickr - Photo Sharing! barcelona redux. gondola over the harbor at sunset. tollmjau, rgrserra, ar_graff, ahcoe, and 3 other people added this photo to their favorites. These colors are so barcelona like. I remember, it seemed to me that even the air I was breathing had a sandy color. Hi, I'm Verity, the photo editor at Triptease and I've been scouting Flickr this week for cool photographers. I really like this photo. It's exactly the sort of thing our users love, so I've decided to feature it on our site. Respecting your licensing terms of course, it's fully credited to you and links back here. If you'd like me to take it down just pop me a Flickrmail. Follow the link below to see your photo. Hope you like the platform. We've built it for photographers like you in mind.